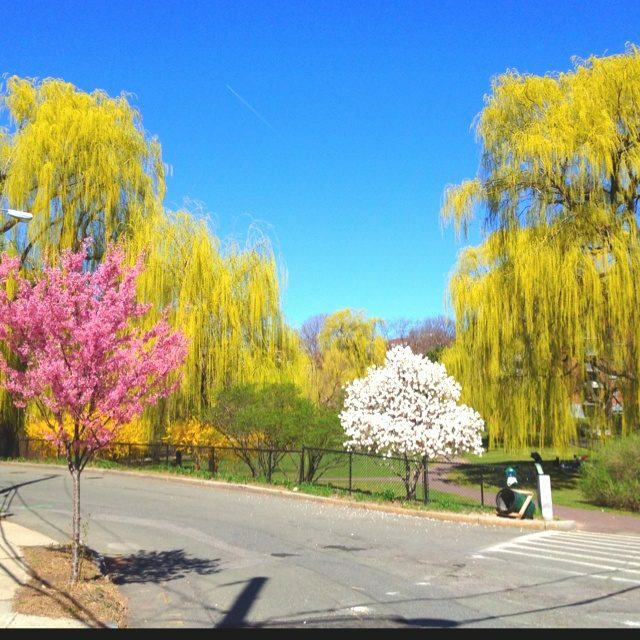 Located between the busy streets of Beacon Street and Washington Street, Griggs Park gives its residents the feeling of living in the country, but with a city skyline off in the distance. At the center of Griggs Park is Griggs Field, a 4.17-acre oasis that was once a wetland and now is home to weeping willows, a small pond, and walking paths. Residents of Griggs Park get to enjoy this natural landscape while still having the convenience of being located right off the Fairbanks Street and Washington Street stops on the MBTA green line. “The Friends of Griggs Park” is a volunteer group founded by the areas residents that is dedicated to helping maintain the park area with regular clean-ups and planting of new greenery. Housing in Griggs Park offers a mix of single-family dwellings and multi-family dwellings and the density is relatively low compared to surrounding areas. The area of Griggs Park is part of the National Register of Historic places and it was founded in 1903 when Thomas B. Griggs began to develop residential properties surrounding the wetland.